People Style Watch Feature: SOLD Denim! 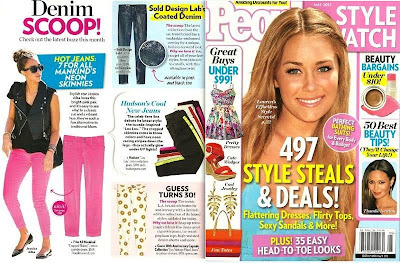 SOLD Design Lab Denim has been featured in the May 2012 issue of People Style Watch. We love these jeans, as this on trend line marries comfort with style perfectly. The jeans use innovative technology and amazing fabrics to create great fit with fashion-forward styling at an easy price point. Once you try them on, you will be SOLD.